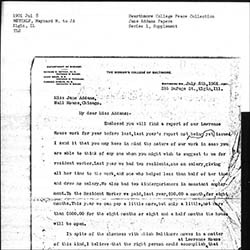 Addams updates Haldeman about financial and legal dealings about the Lake Forest property. 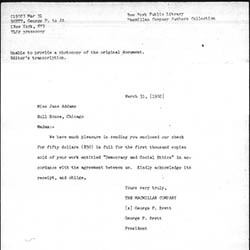 Addams sends Blatchford a check for a fee and requests information about taxes owed on properties in Mary Linn's estate. 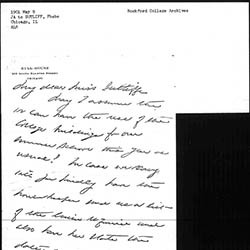 Addams apologizes for writing the wrong amount on the check she sent and acknowledges Blatchford's check. 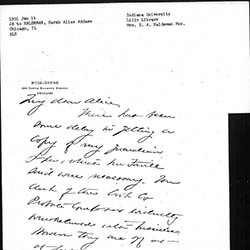 Addams writes Linn concerning financial matters and paying Linn's tuition expenses. 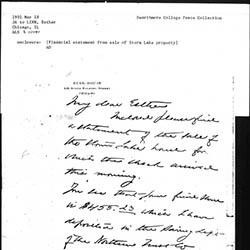 Addams lays out figures from payment from Storm Lake property between John, Weber, Esther and Stanley Linn. 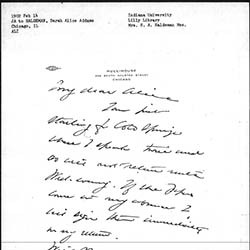 Addams thanks Blaine for her donation, which will secure future manual classes and the Labor Museum. 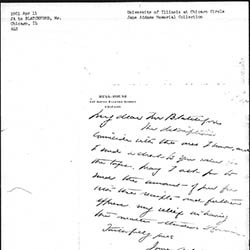 Addams sends a check for taxes and thanks Blatchford for attending to the matter. 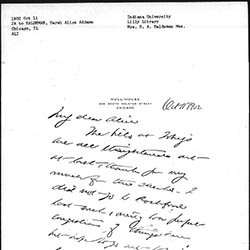 Addams asks Sutliff for the use of the college buildings for the Rockford College Summer School and explains that her fundraising work for Hull-House makes it impossible for her to undertake other things. 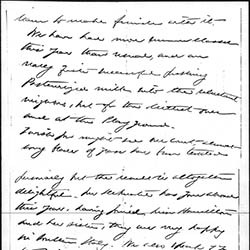 Addams discusses expansions to Hull-House and donations, and then reports on a visit to Smith's family. 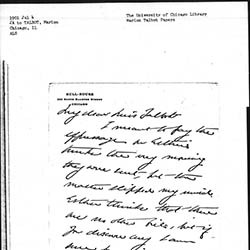 Addams writes Talbot to express her desire to cover bills incurred by Esther Linn. 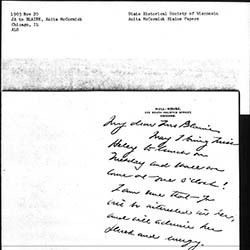 Metcalf writes to Addams about staffing needs for Lawrence House. 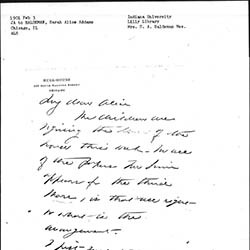 Addams writes Haldeman about family finances and plans for the family Christmas celebration. 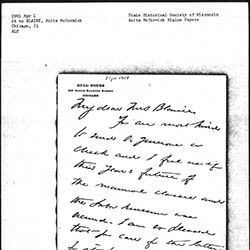 Addams reports to Haldeman that she will sell Stanley Linn's share of the Dakota land. 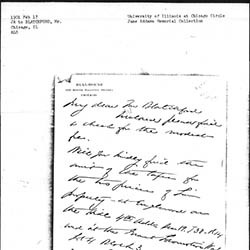 Addams suggests to Haldeman a different means of turning Stanley Linn's lands over to her sister. 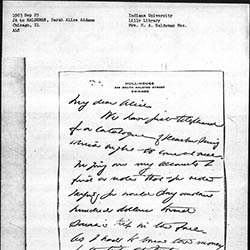 Addams informs Haldeman that she will be out of town briefly and will sign papers on her return. 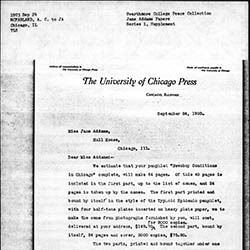 Macmillan reports to Addams that the company has received the agreement to publish Democracy and Social Ethics. 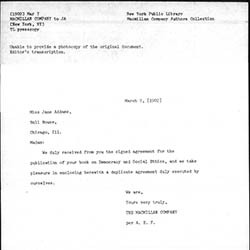 Brett sends Addams a royalty payment for sales of the first 1000 copies of Democracy and Social Ethics. 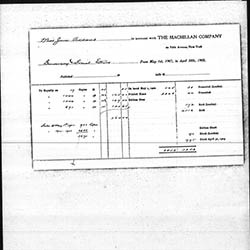 Account of royalties paid from May 1902-April 1903. 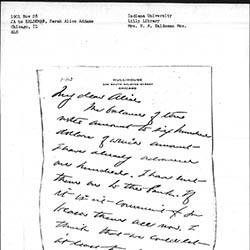 Addams updates Haldeman on events in her life. 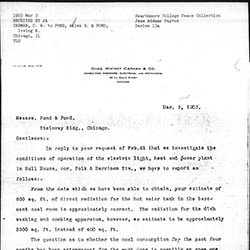 Carman encloses a report (not attached) of an inspection of Hull-House's operations looking for ways to run it more economically. 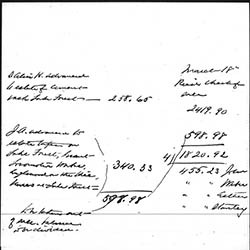 Royalty statement made out to Hull-House and Jane Addams for $413.15 and $287.10. 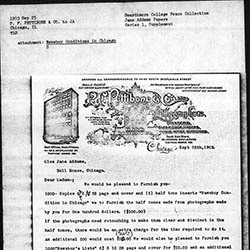 Addams thanks Bartlett for her donation and provides an update on the summer classes. 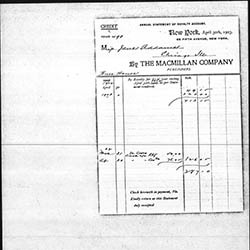 Macmillan encloses a royalty statement for publication of Democracy and Social Ethics. 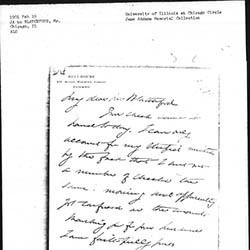 McFarland provides an estimate for printing "Newsboy Conditions in Chicago." 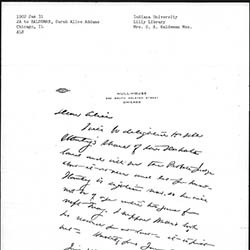 Addams discusses financial matters, a recent visit to Cedarville and Stanley Linn's decision to attend the University of Chicago. 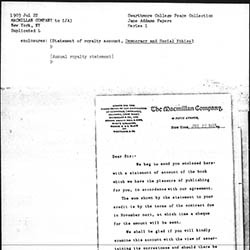 Provides a publishing quote for Newsboy Conditions in Chicago. 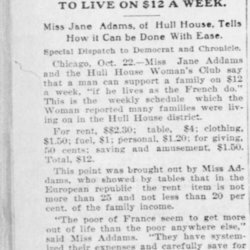 Addams describes how a man can support his family on $12 per week. 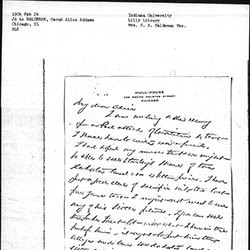 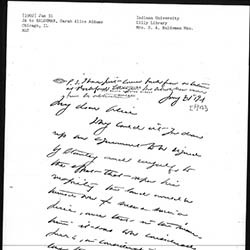 Addams writes to Blaine asking for financial help for Hull-House. 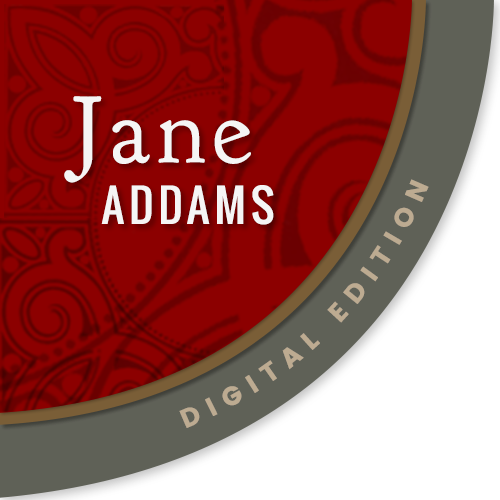 Addams consults with her sister regarding the sale of lands and Stanley Linn's investments, Weber Linn's upcoming wedding, and her health.